The drivers for the two Corvettes (one C5-R and one C6.R) entered by Philippe Tillie's PSI Experience in the FFSA GT Championship are now known, writes David Legangneux. The C5-R, chassis #006, will be driven by Philippe Alliot and David Hallyday, while the C6.R, chassis #002, will be driven by the Finns Markus Palttala (right) and (former Viper owner/driver in Belcar) Pertti Kuismanen. Alliot and Hallyday were FFSA-GT champions in 2001, with a JMB Ferrari 360 Modena in the GT2 class (which was then known as the GT-FFSA class – the current GT1 Class was then called "GT-Inter"). 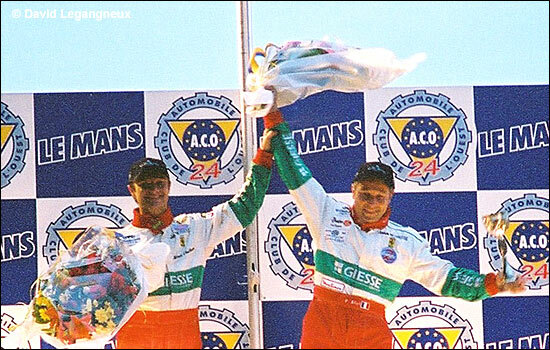 Alliot and Hallyday are pictured on the podium at the FFSA GT meeting at Le Mans in 2001. 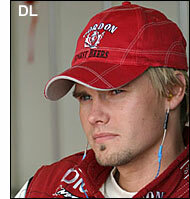 "PSI is indeed planning a come-back to the French GT," explains Markus Palttala - but this news is not yet official yet. "We did it (FFSA GTs) for couple of years with Porsches, getting some nice results and we think that the championship is really high level this year. Nothing is officially confirmed yet, but I should be there with the C6.R and we are very close to a deal with Alliot-Hallyday. They are great drivers and personalities and we really hope to seal everything with them very soon."